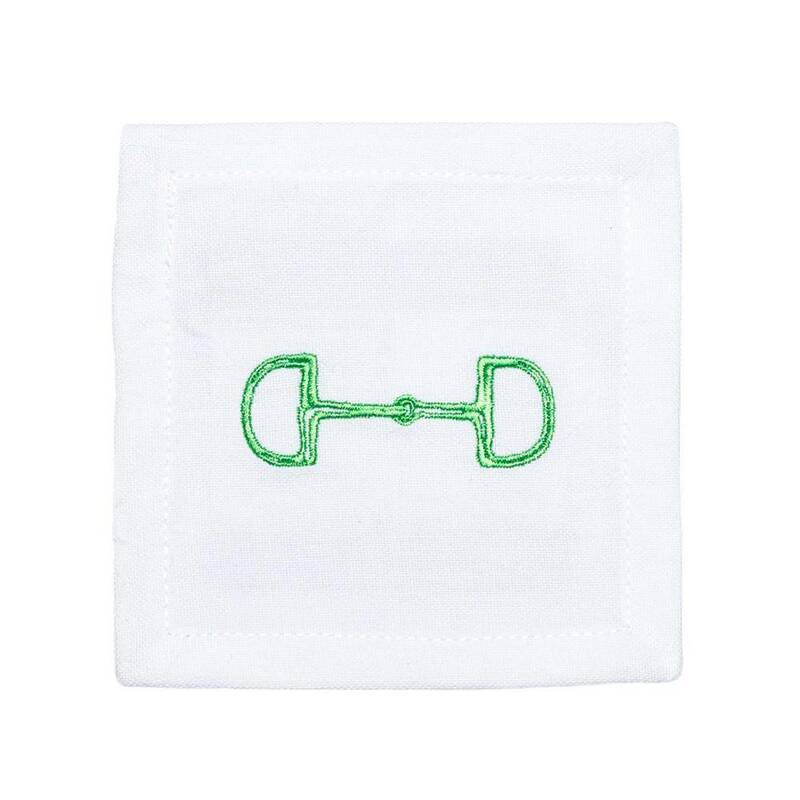 These perfect equestrian themed cocktail napkins come adorned with an embroidered lime green snaffle. 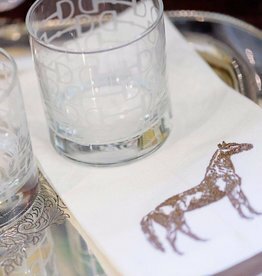 A perfect cocktail napkin for Kentucky Derby entertaining or as a Keeneland season decor change! 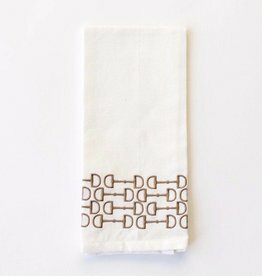 In limited supply. Get yours while they last. 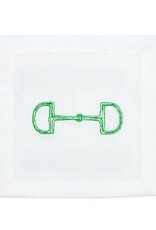 Color: White with lime green embroidered snaffle. Wash and Care Instructions: Machine wash cold, tumble dry low.